Available to buy from 99p on amazon, click image below- my trio of tales set in Yorkshire locations where I live or where I’ve holidayed. A massive thank you to Kim for this review. and a thank you to Horror Tree editor and horror writer Stephanie Ellis for being I think, the first person to review Trio. Here’s a link to Steph’ own horror short story collection:- The Reckoning. It’s official! I’ve signed with Demain Publishing – the driving force behind Demain being writer/editor/film producer Dean Drinkel, to publish on May 10th, my longish short story, , as a stand alone e book in Demain’s Short Sharp Shocks! series. Mine will be Book 18. 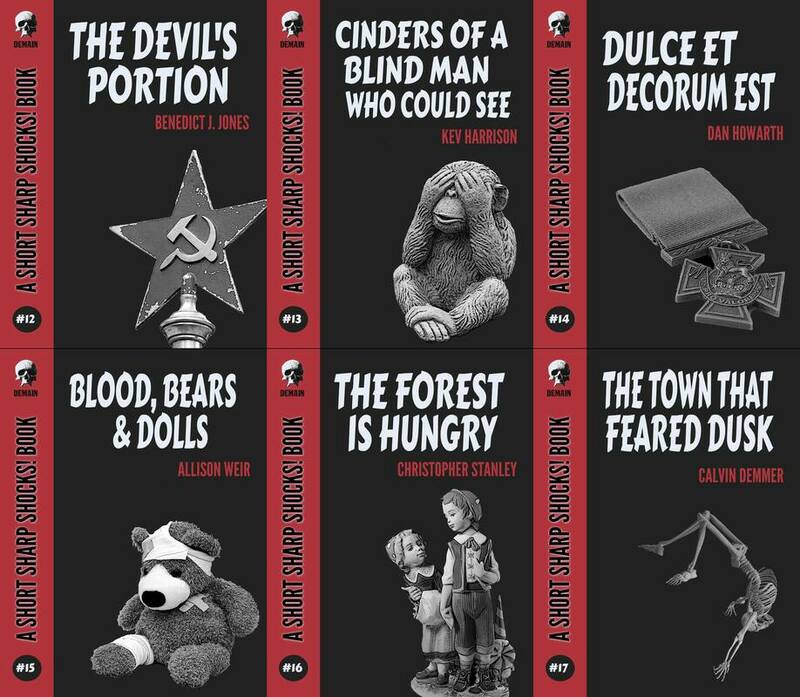 The talented artist, Adrian Baldwin, has designed the series covers- in black and red with white titles and authors’ names; the effect being reminiscent of a pulp magazine from the 1960’s. I am delighted with the cover and how well the illustrator has captured The Rider, the cursed human who is forced to hunt for eternity until . . . Read the story and find out. There will be paperbacks later in the year and the possibility of the story appearing in an anthology. 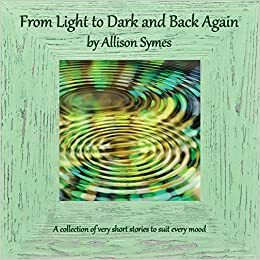 I want to give a special shout out to a story which appeared in the first batch, by Horror Tree editor Stephanie Ellis, whose Asylum of Shadows, I had the pleasure and privilege of reading in its pre publication stage and thoroughly enjoyed and was creeped out by it. and sales in the amazon kindle best sellers category for horror. 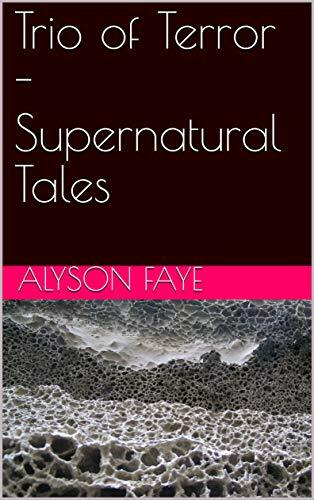 A bargain to download and read at 99p each, they are ideal for reading in one swift succulent bite scaring yourself before bed. March saw me have get back some of my writing mojo – hurrah- and have 2 pieces of flash fiction accepted- one bys The Casket of Fictional Delights and one by Siren’s Call; I also got a royalty payment from the super supportive editor/founder of the Horror Tree, Stuart Conover, for my story appearing in Horror Tree’s anthology Trembling many thanks for all his hard work. 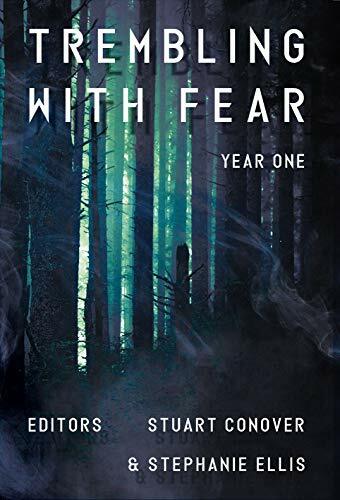 This smart looking paperback anthology includes all the long short stories and all the drabbles from the Horror Tree site for it’s first year. It’s great to dip into and showcases many talents. Christopher Fielden’s anthology ( see below for the amazon link) came out at the end of March – it’s to raise funds for the literacy charity First Story and I and a few writing mates have drabbles in it, where the aim is to use as many adverbs as you possibly uniquely and positively can do to tell a story. A fun exercise. I have been to see not one but 2 horror films in the last 3 three weeks – Jordan Peele’s much anticipated follow up to his hit Get Out, was Us. 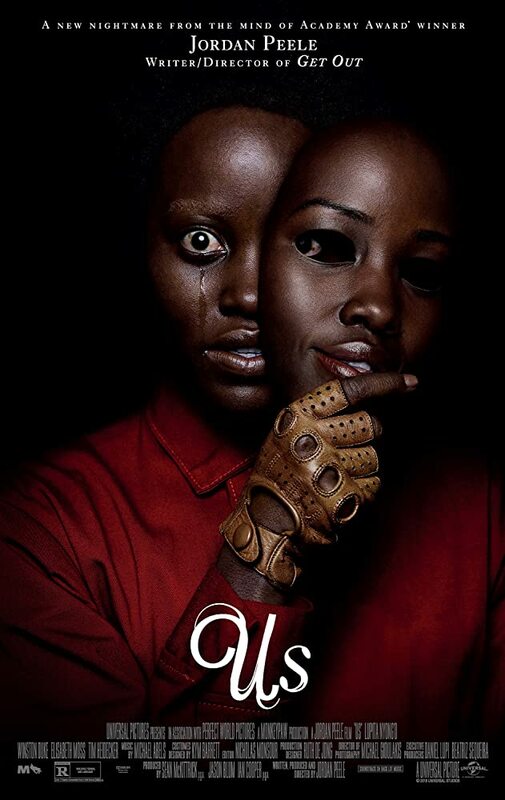 I enjoyed it hugely and thought like many critics that the lead actress Lupita Nyong’o gave an intense, focussed and layered performance in dual roles. Quite startling in fact. 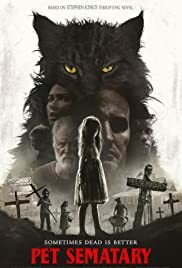 Then today I’ve been to see the new version of Pet Sematary -. I’ve read the King novel and seen the 1980’s TV movie as well so this was familiar terrain, however it’s a well acted, creepy remake which I’d recommend. Horror is having another moment it seems- back in main stream cinemas, pulling in the audiences, getting respectable and respectful reviews and making money. Reading wise I’ve just finished Laura Purcell‘s second novel, (I saw her talk on a panel at Sledgelit, Derby last year- a quiet, sweet faced youngish woman too!) 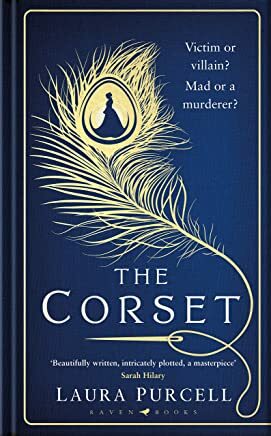 The Corset, a Gothic chiller with a seamstress as one of the lead protagonists and a middle class female prison visitor as the other. A novel idea. I love Victorian gothic chills and spills and this had the added interest layer of the sewing shop/seamstress apprentices and the glorious fabrics stitched into the narrative. I have some more publishing news, which I’ve just heard about concerning one of my longer short stories verging on a novelette in length, but I am holding fire for a little longer before breaking the full news, partly because I haven’t signed the contract yet and we’re still finalising the details. I am so delighted though. A big thank you to Netgalley and Severn House Publishers for this ARC of ‘The Woman who Spoke to Spirits,’ by Alys Clare which is the first in her new series of Victorian detective novels starring,drum roll, Lily Raynor (ex nurse with a dark secret yet to be revealed) and her new likeable assistant Felix Wilbraham. Alys Clare is a new author to me, and so I came to her historical novel with no preconceptions drawn from many other such novels. I enjoyed the details of the Victorian period, the social mores, the theatre life, (one of the leading characters is an actress), the streets of London, the work of the prostitutes and the poverty. It was evocative and sensual as though you were walking amongst the characters. The pairing of a female boss, (Lily) who is not your typical Victorian woman with a younger male employee (Felix) is interesting and creates some conflict. The novel has two plots running concurrently with Lily taking the lead in the Ernest Stibbins’ case (whose wife is the woman of the title) and Felix doing most of the work on the actress’s Violetta da Ros – case which is a socially unsuitable romance with a younger suitor – which take Felix to Victorian Tunbridge Wells. I also enjoyed the conceit of the address of their P.I. bureau -No. 3 Hob’s Court, London, and the name of it – World’s End Bureau. There is much here to enjoy. The beginning was a little slow to get going and ironically I found the ending somewhat rushed in its revelations (which I had guessed) -so this isn’t the trickiest crime thriller to solve but more a pleasurable journey into Lily’s world as a working educated spirited woman who encounters danger, death, spiritualism, social prejudice and sheer horror in the basement. Would recommend. Thank you to Netgalley and the publisher Picador, for the ARC in exchange for this honest review. I was excited to read The Doll Factory, Elizabeth Macneal’s debut novel. First off the cover lured me in- it is gorgeous and the blurb and the Victorian setting and the Gothic overtones. Just up my creepy gothicky street I thought. Hurray. It began well enough, with the introduction of the lead Iris, working her fingers literally to shreds in the titular Doll Factory (an upmarket emporium which sells porcelain dolls with hand painted faces and hand stitched clothes), alongside her twin sister Rose. But Iris has a powerful dream and a unique talent. She longs to be an artist and escape her daily drudgery. It is 1851 the year of the Great Exhibition. The Pre Raphaelite Brotherhood are growing in numbers and one of them Louis Frost employs Iris to be his model – giving her the opening to leave behind her old life. So far so good I thought. Though I was having reservations about the detailed almost clinical descriptions of Silas’ taxidermy work which was making my supper churn in my gut. Yes they are that bad. Silas obviously has a lot of mental health issues as we’d say in 2019 – and he relishes his work rather too much and obsesses about Lily. I started to get a bit tired of the constant references to the Pre Rap artists, who pretty soon Iris is having tea with. Millais said this, and Lizzie Siddal said that. It just didn’t work for me. Macneal has a brilliant talent with her writing immersing you in the poverty, madness, degradation and squalor of Victorian London and of Silas’ world, but for me it all became a bit too much. It is not a pleasant, easy read but there is much here to admire. It just wasn’t for me. Yes, on chapel fm a Leeds radio station I will be chatting along with writer/actress/tutor Irene Lofthouse and 3 other writers who contributed to the anthology inspired by Undercliffe Cemetery in Bradford, which produced the book – available to buy on amazon. We will be reading pieces from the anthology and talking about what inspired us to write them. Stories from Stone: An anthology inspired by Undercliffe Cemetery. Edited by Irene Lofthouse. How can a place so concerned with death be so full of life? To answer that, you’ll have to read this book. 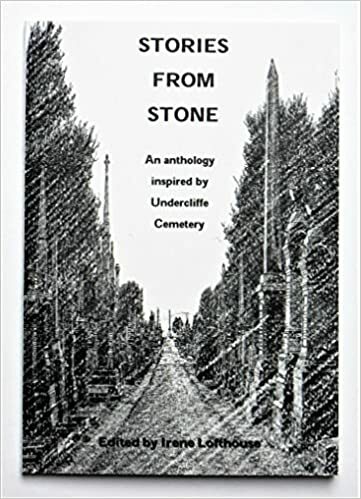 This anthology gathers short stories and poems from the Stories from Stone writer’s group and gives you a taste of what the Victorian cemetery (opened 1854 in Bradford) can inspire. Alyson Faye uses the cemetery to tell stories. The homeless ex-soldier finding his bed for the night not amongst the tombs, but within a tomb in Bed for the Night and Stone Struck; the melding of a child’s flesh with stone in the tragic (but beautifully gothic tale) Stone Struck. Should you want to know what walking in the cemetery is actually like, read Tomb Land, ‘I stroll haunted and watched/by dead men’s eyes … This city rings with silence’. Stuart Firth’s The Chimney Sweep is a short but all-telling story of a man’s life, his open admittance of being less than perfect and that if his grave in the cemetery is marked by a Celtic Cross ‘it had better be full of serpents, lots of them.’ Firth’s stories switch between Victorian and modern with ease, from a child’s stroll in the grounds in the 1850s in A Sunday Afternoon Stroll in Undercliffe Cemetery to feral dogs becoming a danger in The Cemetery Pack. Irene Lofthouse who oversaw this writing project contributes a wonderfully grim story with The Hat Box before lifting the mood with her Writing Workshop poems forcing her group to walk through the snow and not moan ‘Said ‘Stop making a fuss -/It’s much colder for those down below.’ Plus she coins a collective noun for a group of writers, describing them as a ‘wodge of writers’. The final contributor is Gillian Wright. 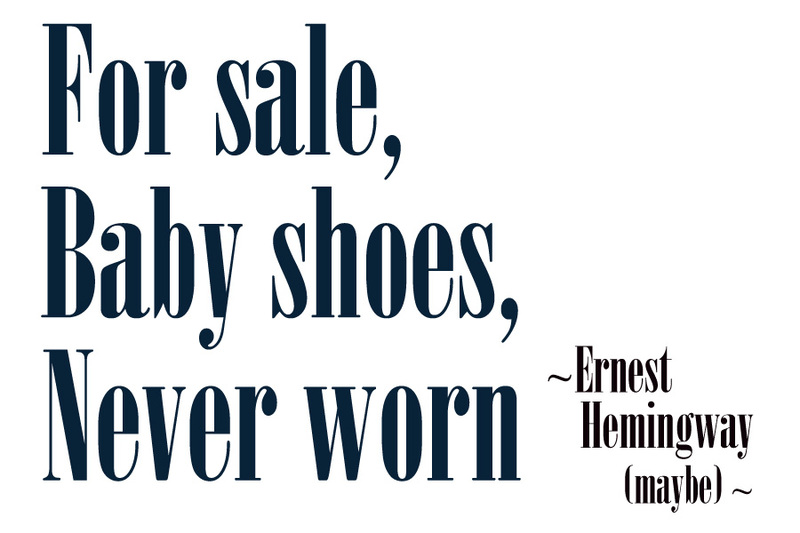 Her Oastler’s Angels focuses on the history of child labour in the area and their suffering before turning to lighter topics with a couple of limericks. This is a collection of well-crafted stories and poems wearing both the faces of tragedy and comedy. It’s perfect to dip in and out of and for every copy sold, £1 will go to the Undercliffe Cemetery Charity. friends posted their tiny sextet tales- which surprised me just how much the idea caught on, with even non writing friends having a go. If you like any in particular please do comment. From fellow Otley writer Carrie Canning came :- Your silence speaks volumes, we’re over. Your pathetic forgiveness made relapsing easy and Six words? Why not? It’s raining. From Costa short list prize winner Mandy Huggins came:- For Sale: Coffin – no time wasters. From writer William Coniston came :- Parking beside the wall. Scraaape. Oops! Writer/actress Irene Lofthouse offered :- Darkness fell. Wolves howled. Transylvania shivered. Forgot the knife. I lost again and She didn’t come. It was over. Non writing mate Deborah Clough – Flour, sugar, eggs, butter, bake. Eat. Another non writing mate Nicola Pennie wrote :- I lie awake listening, wanting silence. Murderous invisible stalker is behind you. Fellow Chapeltown author Allison Symes wrote :- Tiny dragon fled the murderous girl. I have decided to offer a copy of my latest short story book for a prize to the six word story which gets the most votes via my blog or emailing me. Six word stories – tricky and torturous but fun- here are a trio of mine, with some others which are a real mix of styles. I’m feeling very generous this week so I’m asking for 20-word stories. How could he?! She’d really thought he was the one. But he’d gone and done it – eaten her last Rolo. He passionately kissed, the wrong girl. He didn’t get her being him. After their marriage, two became one. Flower bloom mightily, beauty is yours. I’d passed. The car was mine! Pie, SPLAT! Didn’t see that coming! No heartbeat, born asleep. Godspeed sweetheart. Running away, she met herself again. Black dress. Red lipstick. Open casket. This is from Kim-Bee – Huge 90s Grunge fan who loves reading and writing suspense/horror/sci-fi. Devoted wife/sister/aunt. Team reviewer at Ginger Nuts of Horror. Gingernuts have posted my reviews and work in 2018 and are a great site for horror writers/readers. Thank you Kim- your tweet made my day! I received an ARC courtesy of netgalley and the publishers Severn House. I have read all of F.G. Cottam’s book- so I am I suppose a fan of his dark horror with its accompanying chills and creepy settings from a haunted house to a haunted boat. His trilogy, The Colony, is in my opinion a peak for Cottam and when I read the first Colony novel I could almost believe it was a true story with a bit of faction thrown in- it was grippingly realistic and set on an isolated island. I think claustrophobic settings might be part of the Cottam charm; when the walls close in you know there’s nowhere to go. This latest novel from him is, I felt, rather different in scope, tone and even style. In The Auguries the whole of London is showing signs of entering the End Times :- statues weep blood, a poisonous fog descends, a plane falls from the sky, the city floods and the infrastructure breaks down with bloated bodies floating in the streets – all of this is somewhat skimmed over, but then the entire novel is a compact 208 pages, and Cottam has a lot to fit in and he does set a terrific pace. So on the plus side this story is fast paced, fun, action packed and cracks along. However the choice of a teenager as the main antagonist who holds the ‘Almanac of Forbidden Wisdom’ (inherited from her looter great grandfather) doesn’t work for me. She may/may not be autistic (a comment which is repeated to lesser effect each time) throughout the book – but as she ignites the spells to gain her own desires- she seems more of a psychopath than anything else and not very believable. The creepy scenes in her basement where she imprisons what was her brother though work very well- a miniature gem of Cottam writing there and the weird reanimated grandfather sent chills through me; but the good guy adults – a rather 2d female Professor and her academic colleague (with military training which comes in handy) chase around Europe rather in a caper movie fashion, following the clues to the C16th Almanac and its origins- so there is much jumping back in time and change of pov as well to follow. This is somewhat disjointing and there is a lot of that for a 200 page book; so not much chance to settle into one pov or time period. I would say if this is your first Cottam start with an earlier one. Would highly recommend this entertaining, gripping, well plotted and cleverly twisting history mystery/thriller from David Mark. I received an ARC courtesy of Netgalley and the publishers Severn House, for this standalone thriller. The author, David Mark is a new name for me and I asked for this book on the basis of the intriguing synopsis- I did not regret my request. I thoroughly enjoyed it and read it in huge gobbling chunks. This is a mix of historical mystery and current day thriller, for the past casts long shadows and reaches out with its deadly tentacles to grab the characters in 2010. The two protagonists, both female, one an outsider, Cordelia, with a troubled history and a recent tragedy in her life and the village wife and mother, Felicity, collide with each other in 1967, in a graveyard during a thunderstorm in front of The Mausoleum of the title. I enjoyed the depiction of both the women’s differing characters and found their ‘voices’ touching and true; the narrative alternates between their different perspectives and reveals the layers of their knowledge and discoveries as they investigate the Mystery of the Corpse in the Mausoleum. It did take a while to get used to the alternating chapters and the switch between the 1960’s and back to the 1940’s where historic and brutal crimes in foreign countries have deadly resonance in the current day then finishing up in 2010 where old men and old ladies have a final death bed confrontation. The depiction of the tiny smothering atmosphere of village life was well drawn and I was in awe of the author’s control of his timelines, plot details, reveals, and information leaks. David Mark is a master of the form.